Here’s your 10% off coupon! You must show this coupon to receive your discount. 1) Show us this coupon on your phone. 2) Right click the coupon image to print and bring into the showroom. 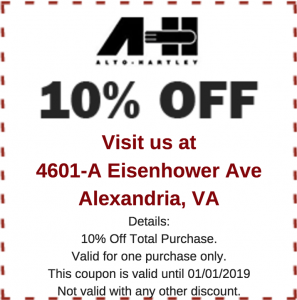 Bring it in to the Alto-Hartley showroom, and receive a 10% discount on your total purchase. Shop life a chef, and save! And to schedule a personal tour of the showroom, contact us today to schedule an appointment geared specifically for the items you want to see.